The seven Methodist women who founded The Methodist Church Home for the Aged in 1850 could not have predicted the extent to which their dream of providing a safe haven for the elderly would be realized. Known today as The Methodist Home for Nursing and Rehabilitation, the non-sectarian Home provides a wide range of personalized short and long-term care to a diverse population, within the comfortable, private surroundings of its historic residence and new rehabilitation center. Originally located at 16 Horatio Street in New York City’s current “West Village” neighborhood, the Home’s permanent residence was completed in 1929 across the river in the idyllic (then and now) Fieldston neighborhood of Riverdale, New York. Even today the simple entrance of the home belies the beauty and grandeur of its interior. Only one floor above, the Grand Parlor, now the Home’s Great Room, is a beautiful common space with an adjacent refurbished dining room, newly added multi-media Library, an outdoor porch as well as formal gardens completed in 1999. Professional staffing was increased to serve the growing clientele, providing nursing services, as well as occupational, physical, speech and hearing therapies. Today, an on-site medical group consisting of physicians, nurses and medical and psychological specialists monitor our clients 24 hours a day, seven days a week. Ongoing improvement is still one of the main precepts of the Home’s mission, and philosophy. Ongoing renovations keep the Home vibrant. Residence expansion, including the new Rehabilitation Center officially opened in 2008, continues to keep the Home’s equipment, treatments and therapies on the leading edge for those we serve. 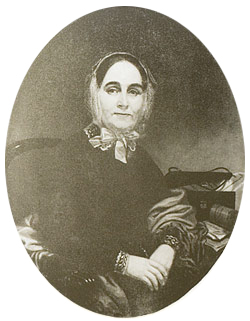 Mrs. Mary W. Mason was the President of the Board of Trustees of the Methodist Church Home for the Aged from 1851-1858.